Peugeot revamped its supermini car segment with the launch of the 208 model. 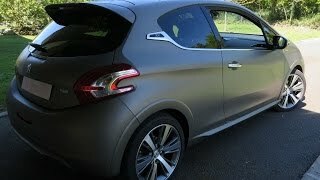 This new model has already seen a sports derivative, the 208 GTi, which we covered few days ago. Now, Peugeot has unveiled the all-new 208 XY. 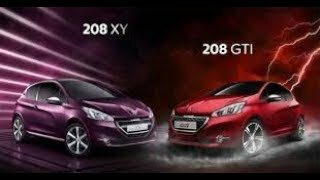 The Peugeot 208 XY will be a luxuriously appointed model and available in a new colour for the Marque, Purple is one of six colours available. 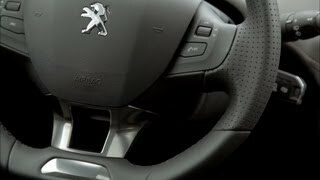 The XY body is punctuated with chromed details, subtle touches of Purple on the Peugeot logos and the central wheel caps. The mirror casings, the fog lamp trims, the window trims and the rear skirt bead are dressed in bright chrome. On the quarter panel trim and the centre pillar, touches of gloss black complete the image. 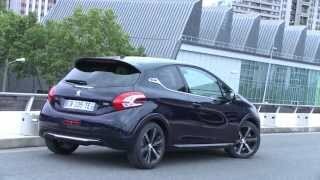 Earlier this year, Peugeot rejuvenated the supermini car segment with the launch of the 208. This new model revolutionises customer choice with its elegance, compactness, occupant space, equipment and style. Now, further derivatives of 208 are unveiled and coming soon after the announcement of the eagerly-awaited 208 GTi − is the new 208 XY. Particularly striking and visible both by day and night is the light signature which is refined by new halogen headlamps, equipped with a latest generation light guide. These carefully designed lamps with a rectangular internal structure use LED technology for the directional indicators and daytime lighting. 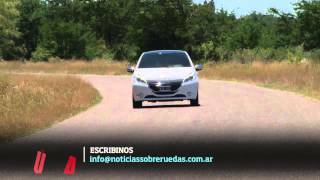 Tightly enclosing the main beam headlamps, the floating trim of which calls to mind a cat's pupil, they give the expression of the 208 XY with an iris. The passenger compartment is punctuated with carefully designed components. So, the vents, the side decorations of the touchscreen, the dashboard decoration, the steering wheel insert, the seat belts, the front and rear door crossbars all blend with the same interior ambiance. The aluminium pedal bracket and footrest provide the final touch to this refined interior. The finely designed 17" diamond-Anthra Mercure multi-spoke wheels house in their centre an alloy wheel cap with Purple edging. At the rear, the tailgate bears the ‘XY’ signature logo designed with dynamic graphics. Roof decals are available for personalisation, and the 208 XY offers an identity unlike any other in this sector – high on ‘Exclusivity’. With a ‘light, bright’ appearance, the passenger compartment is a perfect reflection of the exterior. The materials and appearance are ‘tied’ together with Purple overstitching. A chrome embellishment covers the door trims, the vents and the side decorations of the screen. Enhanced by these touches, the metallic bronze dashboard brings together the touch interface and the instrument panel with a graduated bronze-black decoration. The seats are trimmed in cloth and Alcantara. At the driver's feet, the aluminium pedal bracket and footrest are accompanied by mats of superior quality, edged with bronze cord overstitched in Purple. This sophisticated and luxurious ambiance can be personalised with a range of special trims. After choosing between the Nappa leather, in black or bronze, and the black Nappa leather combined with a padded Alcantara make-up giving an exclusive and dynamic treatment, the 208 XY is even more intensely individual. The passenger compartment is luxurious; ergonomic, it is fully at the service of the driver. Featuring perforated full grain leather on the small steering wheel, fingertip control fall within easy reach of the large 7" touchscreen with extended connectivity (jack socket, USB and Bluetooth) favourite music is played from a portable device by streaming and with a high level of quality, through a six-speaker system. In addition, options include dynamic cornering lighting, an optional alarm and the optional of heated seats, complements the high standard-fit equipment which features a panoramicglass roof with ambiance backlighting, dual zone automatic air conditioning, speed limiter/cruise control, armrest for the front seats incorporating storage space, the list is extensive and the environment luxurious. The 208 XY is available with a wide selection of efficient engines, enhancing the choice of performance on this model.